Uh, because it's November and that means I have to start documenting this stuff that I'm thankful for. I mentioned that Scott and I were really honing in on what goes right and not what goes "wrong". The " " are because sometimes the seemingly wrong things are wrong for a reason. 1. This kid. She drew me in my Halloween costume and threw in the fact that we play a continuous game of Students vs. Teacher. 2. This kid. Gave me an apple. I haven't gotten an apple in 5 years. I used to have to bake a pie or crisp every other week because the kids in Alaska would give me so many apples. 3. Another kid was dressed up as "El" from Stranger Things, in the pink dress. BRILLIANT. 4. I had dinner with a friend last night. I talk to her every day, but haven't seen her in months, which is kind of ridiculous because we live fairly close to each other. But life, right? We get bogged down with busyness. 5. 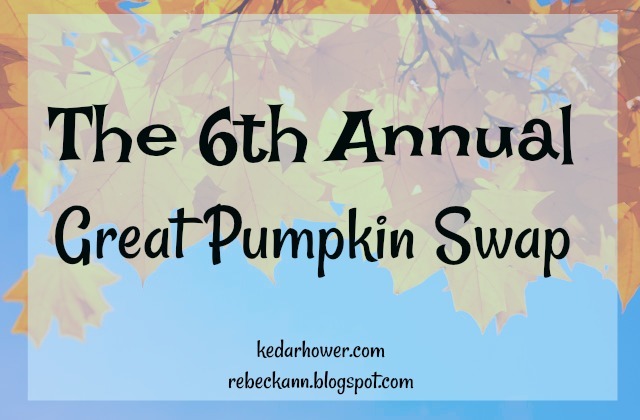 The Pumpkin Swap link-up will be on Tuesday! You can link a blog post here in Tuesday's post...you can link an IG post...you can search #GreatPumpkinSwap. So many ways to join in! I think I got an apple once ha! I didn't know kids actually gave teachers apples - so funny! I love how your student drew you, too. It looks like my Pumpkin Swap package won't get here in time for the link-up, but I'll definitely share once it gets here, hopefully later next week! Aww I love when kids are thoughtful and/or funny like this! Omg the El costume!